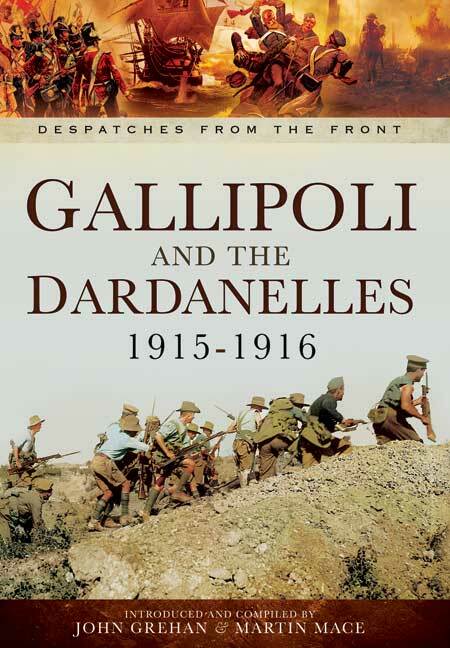 You'll be £19.99 closer to your next £10.00 credit when you purchase Gallipoli and the Dardanelles 1915-1916. What's this? Order within the next 2 hours, 17 minutes to get your order processed the next working day! The fighting in the Gallipoli or Dardanelles campaign began in 1915 as a purely naval affair undertaken partly at the instigation of Winston Churchill, who, as First Lord of the Admiralty, had entertained plans of capturing the Dardanelles as early as September 1914. It was the Royal Navy that bore the brunt of the initial action, supported by the French and with minor contributions from, the Russian and Australian fleets. On 3 November 1914, Churchill ordered the first British attack on the Dardanelles following the opening of hostilities between Ottoman and Russian empires. The British attack was carried out by battle cruisers of Carden's Mediterranean Squadron, HMS Indomitable and HMS Indefatigable, as well as two French battleships. This attack actually took place before a formal declaration of war had been made by Britain against the Ottoman Empire. Royal Navy submarines had already been operating in the region. When the naval operations failed, a full invasion of the Gallipoli Peninsula was launched. The bitter fighting that followed resonated profoundly among all nations involved. The campaign was the first major battle undertaken by the Australian and New Zealand Army Corps (ANZAC), and is often considered to mark the birth of national consciousness in both of these countries. For the Turkish forces it would prove a major victory. This book is an excellent tool for those familiar with the general campaign and seeking to learn more about Hamilton’s thought processes. It is also an interesting insight into the honours and awards system. Additionally it throws some light on how military headquarters worked in this era. knowledge of how and why they took the decisions that shaped the outcome.